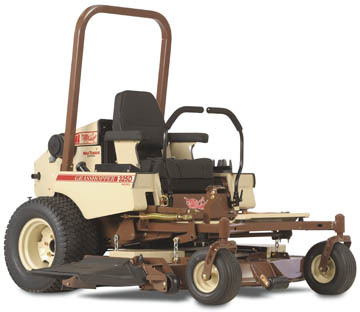 The diesel-powered, 25 hp engine of the Grasshopper MidMount Model 325D is fuel-efficient and powerful. It saves up to 900 gallons of fuel every 1,000 hours of use, according to the company. The mower features a DuraMax deck and an optional PowerVac Collection System, mulch package, edger, dethatcher and shielded sprayer.